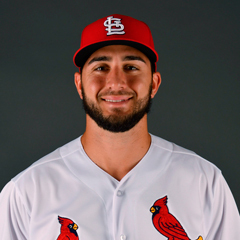 The St. Louis Cardinals system went 5-2 on Sunday, plus there were two All-Star games at opposite ends of the minor league spectrum. 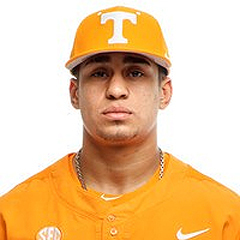 Our Player of the Day is Memphis right-hander Daniel Poncedeleon, who threw a complete-game, one-hit shutout. Recaps of games played on Sunday, July 15. We have reached the point in the summer when the MLB regular season takes a short pause for the All-Star Game and its related events. On Sunday, the United States team defeated the World team by a 10-6 score in the MLB All-Star Futures Game, held in Washington, DC. 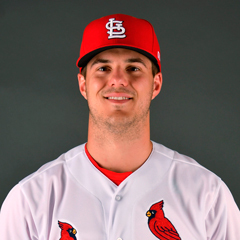 The Cardinals had three representatives in the game: right-handed pitcher Dakota Hudson and catcher Andrew Knizner played on the United States team, and outfielder Randy Arozarena was on the World Team. For the victorious United States, Hudson pitched a scoreless sixth inning and struck out a batter. Knizner entered the game with Hudson and caught the final four innings. Knizner went 0-for-2, both strikeouts. On the World side, Arozarena entered the game as a defensive replacement in right field in the seventh inning. In his only plate appearance, Arozarena reached on a fielding error. In Sunday’s Dominican Summer League All-Star Game, the American League representatives defeated the National League squad by a 5-4 score. Position players Joerlin De Los Santos and Sander Mora represented the Cardinals and the NL, as did pitcher Martin Cordova. De Los Santos started in left field and went 0-for-1 at the plate. Second baseman Mora entered as pinch-hitter and was 0-for-2. After the first NL pitcher of the game recorded two outs, Cordova entered and surrendered two hits but recorded the final out of the first inning. Monday’s games: DSL Cards Blue at Mets1, Cards Red vs. Tigers1, 10:30 a.m. Eastern time. With plenty of run support and a masterful pitching performance, the Redbirds enjoyed an 8-0 victory on Sunday in Omaha. Daniel Poncedeleon, our Player of the Day, shut the Storm Chasers out on one hit in a complete game. The right-hander fanned five and earned his ninth win in 12 decisions this season. Poncedeleon lowered his earned run average to 2.15, second-best in the Pacific Coast League, and threw 77 of 110 pitches for strikes. Redbirds shortstop Wilfredo Tovar, right fielder Tyler O’Neill, and designated hitter Max Schrock each batted in two runs. 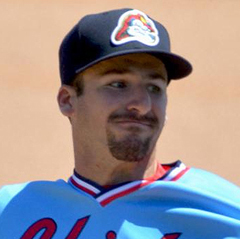 Schrock and second baseman Alex Mejia both homered, and Mejia scored three times. Monday’s game: Luke Weaver (2018 Triple-A debut) vs. Iowa Cubs, 7:05 PM Central time. Fueled by five early runs and solid pitching, the Cardinals cruised to a 7-1 home victory over the Naturals. Right fielder Blake Drake had a good day at the plate with two doubles in four at-bats, a run scored, and three driven in. Center fielder Lane Thomas, third baseman Evan Mendoza, and shortstop Tommy Edman had two hits apiece, and second baseman Ramon Urias hit his eighth home run. Cardinals starter Mike O’Reilly twirled seven scoreless innings and earned the win to improve to 3-4 on the season. Landon Beck allowed the Naturals’ only run in the eighth inning, and Elniery Garcia pitched a clean ninth. Monday’s game: Jake Woodford (3-8, 5.09) vs. Northwest Arkansas Naturals, 6:30 PM Central time. A slow day at the dish led to a 3-2 loss for the Cardinals in St. Lucie against the Mets. The Cardinals had just three hits, with the two runs both coming in the fourth inning. 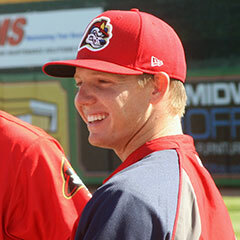 Left fielder Shane Billings and designated hitter J.B. Woodman each drove in a run. The strikeouts mounted for the Cardinals at the plate, with 12 in total. Ironically, Billings and Woodman – the two players who fueled the run production – had three strikeouts apiece. Palm Beach starter Evan Kruczynski worked five innings and surrendered three runs – all earned – with five strikeouts. Relievers Jason Zgardowski, Jacob Patterson, and Colton Thomson each turned in a scoreless frame to finish. Monday’s game: TBA vs. Lakeland Flying Tigers, 5:30 PM Central time. A great collective effort from the pitching staff and just enough run support led to a 2-1 win for the Chiefs, their third victory in a row. Starter Paul Balestrieri earned the win with 5 2/3 innings of one-run ball. The TinCaps whiffed five times facing Balestrieri, who is now 6-4 on the season. Zach Prendergast tossed 1 1/3 scoreless frames of relief before Patrick Dayton and Kodi Whitley each logged a shutout inning. Peoria scored in the second and third innings. Shortstop Jose Martinez batted in first baseman Yariel Gonzalez on a sacrifice fly, and designated hitter Dennis Ortega plated second baseman Irving Lopez on a base hit. Though they came away on top of the run column, the Chiefs were outhit by the Tincaps, 5-4. The Chiefs went 1-for-8 with runners in scoring position and stranded five. Monday’s game: Alvaro Seijas (2-5, 5.20) vs. Fort Wayne TinCaps, 11:00 AM Central time. The visiting ValleyCats scored nine runs over the final three innings against the porous State College bullpen to thrash the Spikes, 11-1, on Sunday. 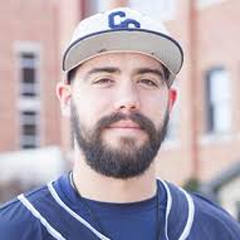 Through six innings, State College starter Jim Voyles had allowed just two runs, both via solo homers, but tired in the seventh, when the game got away from the Spikes. Voyles left with two on. Winston Nicacio did not record an out, despite facing three batters. Nicacio allowed two of Voyles’ runs and three of his own, before Edgar Gonzalez continued the seventh-inning spree. The latter surrendered three more tallies in the eighth, going 1 2/3 frames in total. The ValleyCats scored their final run against Troy Montemayor before Will Changarotty recorded Tri-City’s final out. The Spikes’ only run came via third baseman Stanley Espinal’s second home run of the season. State College had many opportunities at the plate; with nine hits, the Spikes also had four walks to their advantage. Nonetheless, the team was 0-for-9 with runners in scoring position, and 11 runners were stranded on the bases. Monday’s game: Jake Dahlberg (0-2, 3.38) vs. Tri-City ValleyCats, 11:00 AM Central time. 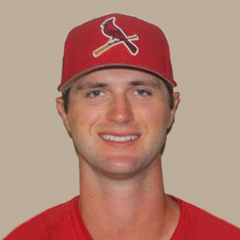 A back-and-forth affair ended in the Cardinals’ favor on Sunday, as Johnson City enjoyed a 7-6 win on the road over the Royals. Cardinals backstop Benito Santiago drove in three runs on the first home run of his professional career. Designated hitter Zach Jackson and left fielder Dariel Gomez had two hits apiece; Jackson drove in two runs, and Gomez scored twice. Third baseman Nolan Gorman smacked a solo homer in the fifth inning, his seventh long ball of the year. On the pitching front, Johnson City starter Tommy Parsons tossed five frames of three-run ball. Junior Gonzalez logged two outs and allowed as many runs before Juan Alvarez came through with 1 1/3 shutout innings. Alvarez earned his second win of the year. Edwar Ramirez and Mike Brettell each turned in a scoreless inning to finish off the Royals. Ramirez earned his first hold, and Brettell notched his first professional save. Monday’s game: TBA at Burlington Royals, 6:00 PM Central time. The GCL Cardinals were victorious on the Miami side of the Jupiter complex on Sunday, by a 4-2 score. 2018 26th rounder, right-hander Connor Coward of Virginia Tech, tossed five one-run innings on four hits and a walk. Alex Gallegos took the sixth, Ben Yokley yielded a run over the seventh and eighth before Edgar Escobar claimed his third save after an eventful ninth that included a hit, a walk and two strikeouts. Left fielder Andrew Warner finished a home run shy of a cycle, scoring one and plating another. Designated hitter Luken Baker went 2-for-3 and crossed the plate both times. First baseman Zach Gahagan singled, doubled, stole a base and scored. Monday’s game: TBA vs. Nationals, noon Eastern time.